XTREME LINE has always been with us and always will be. XTREME products are designed to help you perform at your best, to execute your plan and perform at the optimal level. There is no place for mediocrity, only the Extreme. Each time you decide to buy our product you can be certain that it will be of The highest quality using proven ingredients in a number of delicious flavours. It’s the standard for XTREME LINE products. 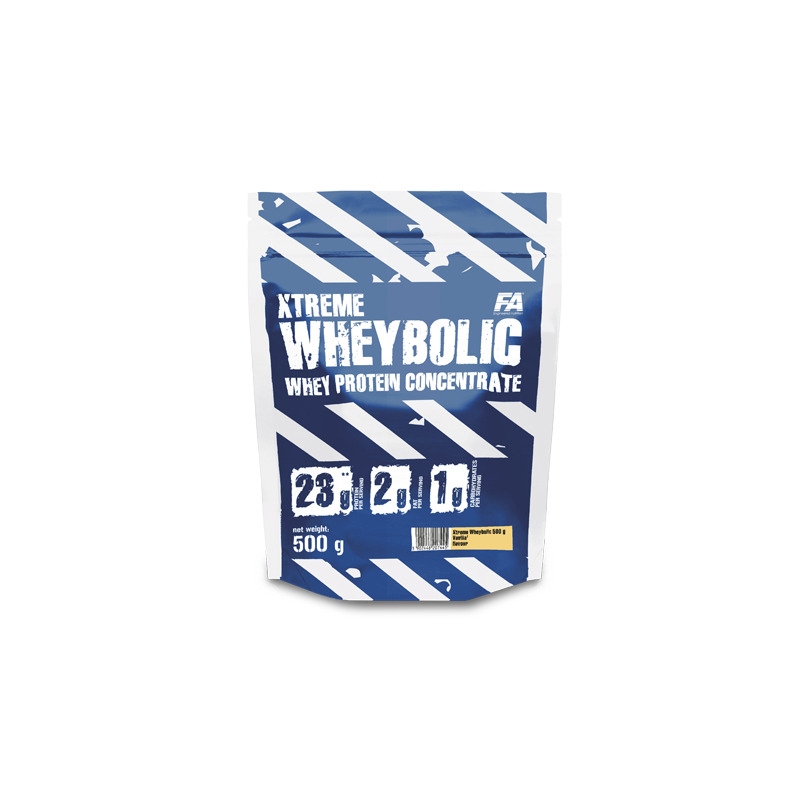 XTREME WHEYBOLIC is nutritious protein product made of the highest quality Whey concentrate which supplements a person’s daily diet with protein. It is recommended for every athlete both during and after the period of muscle building to intake protein. There is no place for average products when training. 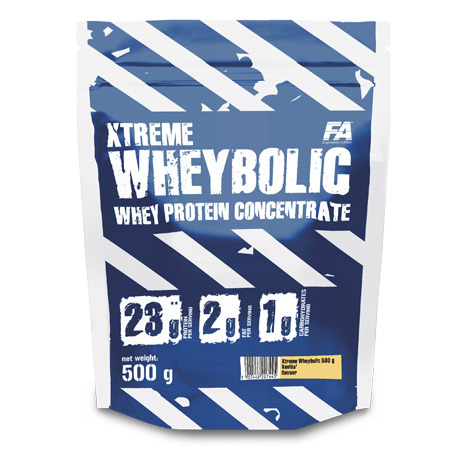 Thanks to XTREME WHEYBOLIC you can introduce this delicious protein, (the fundamental muscle tissue building material) into your diet. The presence of proteins in an athlete’s diet is necessary as it contributes to the growth and maintenance of muscle tissue, the product contains essential amino acids, great amounts of BCAA’s and L-glutamine. The whey concentrate contains mineral compounds such as calcium and phosphorus - important for the proper functioning of the body. The calcium helps to maintain proper neurotransmission and supports proper functioning of muscles. When combined with phosphorus it contributes to normal energy metabolism and the maintenance of healthy bones and teeth. Xtreme is a line of products made for professionals by professionals. We are perfectly aware how a tough and restrictive diet can influence the way you feel. Supplement you’re eating routine without losing sight of your goals. Go XTREME or go Home. Ingredients: 95%**, 87%* Whey protein concentrate (from milk), cocoa3, flavourings, red beet concentrate2,4,5,6, colour [(E163)5,6, (E160a)1,7], thickener (xanthan gum), acidity regulator (citric acid)2,4,6,7, salt3, sweeteners (sucralose, acesufame K). Recommended use: Mix 1 serving (30 g) with 200 ml of water or milk. Use before and immediately after workout. Warnings: With sweeteners. Do not use if you are allergic to any of the product compounds. Do not use if pregnant or nursing. A varied and balanced diet and healthy lifestyle is recommended. May contain cereals (gluten), eggs, soy. Store in dry and cool place. Keep out of reach of children. Protect from direct sunlight. Available flavours: Vanilla1, Strawberry2, Chocolate3, Raspberry4, Blackcurrant5, White chocolate-cranberry6, Lemon cheesecake7.